The “Ultrafast Bio- and Nanophotonics” group is devoted to the study of light-matter interactions and its use to develop technologies that impact the societal challenges wellbeing, safe & secure society as well as an urban society. We are using optical labels to track smart drug delivery systems, and other innovative nanomaterials in interaction with cells and biological tissues using advanced fluorescence and nonlinear spectroscopy e.g. to measure intracellular temperature. Our femtosecond laser sources can be used for laser-based micro-nanofabrication, e.g. of photonics crystals or 3D scaffolds for tissue engineering using two photon polymerisation. Join the Ultrafast Bio- and Nanophotonics group! We invite motivated post-bachelor students from the Bioengineering, Physics, Chemistry and related areas to contact us for possibilities to conduct research internships or master thesis projects in our group! Highly motivated PhD candidates and postdocs with nanophotonics research experience, please contact jana.nieder@inl.int or martin.lopez@inl.int for further information on funding opportunities (e.g. 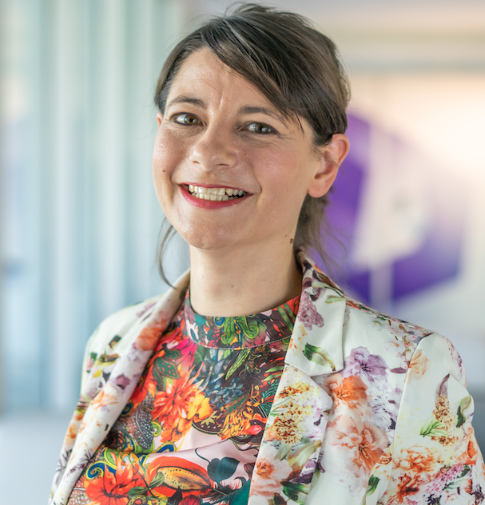 FCT grants, Marie Skłodowska-Curie fellowship grants and others) to join the team. SyncRGB-FLIM in PT national TV! Original SyncRGB-FLIM Publication can be found here! 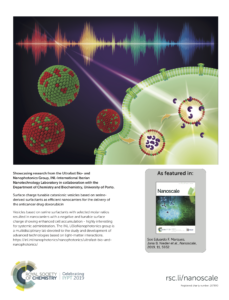 Original Nanodrug delivery publication can be found here! 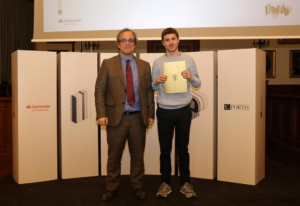 Rodrigo Ferreira receives “Best Oral Communication” prize at the IJUP 2019 – 12th Meeting of Young Researchers of University of Porto for his oral presentation entitled “Few-cycle laser for real-time nanomedicine research: towards innovative anti-cancer therapy” awarded by the University of Porto. Rodrigo performed his Master research project partly at the Femtolab at University of Porto and partly at the Ultrafast Bio- and Nanophotonics group at the INL – International Iberian Nanotechnology Laboratory in a collaboration project also with the support from Sphere Ultrafast Photonics. Candidates interested in pursuing QUANTUM technologies PhD research project in our group – please contact jana.nieder@inl.int: Possible topics are in the area of quantum information, quantum metrology/sensing/imaging and other exciting nanophotonics research topics! 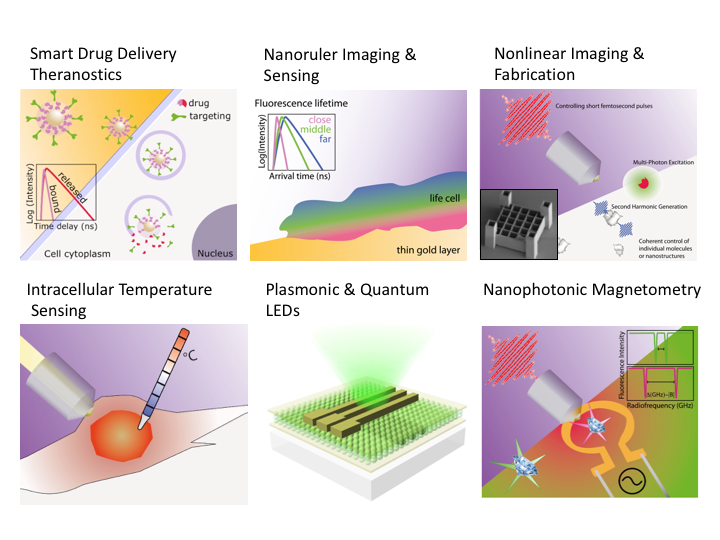 In the nanomedicine research area, the “Ultrafast Bio- and Nanophotonics” group is devoted to the study of smart drug delivery systems and other innovative nanomaterials using advanced fluorescence and nonlinear spectroscopy and using and developing new imaging techniques. Besides using more established super-resolution microscopy techniques one of our main focus is to develop new superresolution techniques. Our femtosecond laser sources can be used for lased based micro-nanofabrication, e.g. of plasmonic nanostructures or biomimetic models and a multi-photon microscope is developed for the study of nonlinear effects in nanoparticles, as well as, for deep tissue imaging purposes.